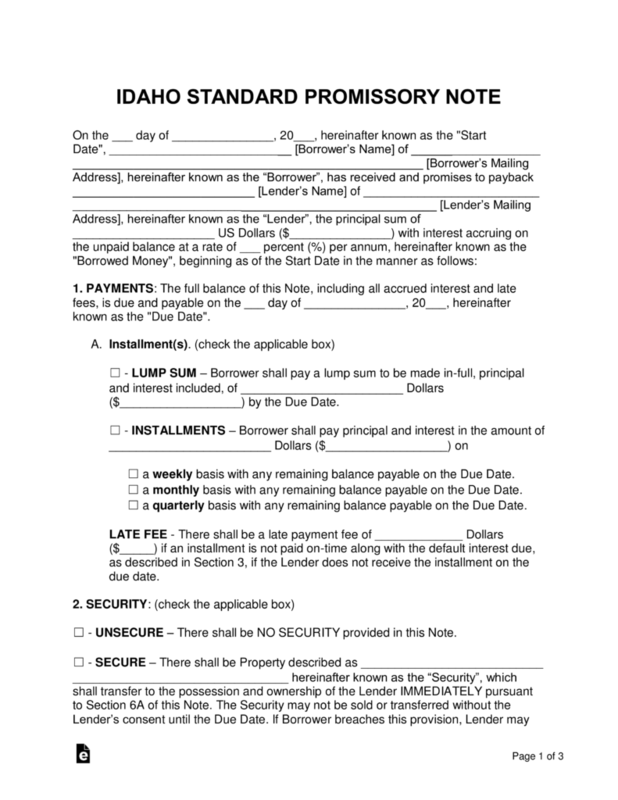 The Idaho promissory note templates are documents used for transactions involving loans between two parties. The documents require both the lender and borrower to agree on payment types, late fees, security, and other areas of the agreement. Secured Promissory Note – This version of the agreement includes security for the lender. Security helps reimburse the lender in the case of a default on the balance. Both the lender and the borrower will agree on items to be used for security before the signing of the agreement. Unsecured Promissory Note – There is no security included in this version, which adds greater risk to the transaction for the lender. To help combat this, the lender should ensure the borrower is a trust worthy individual. 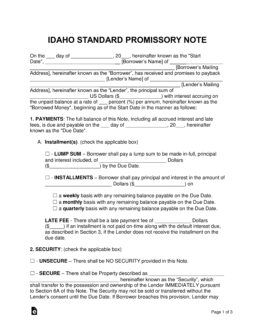 The legal rate of interest in Idaho is 12% per year when the interest rate is not specified in writing.